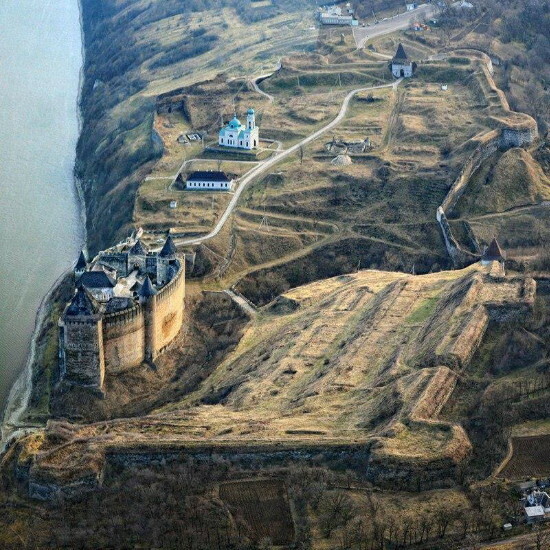 Khotyn [Xotyn]. Map: V-7. Town (2001 pop 13,200) and raion center in Chernivtsi oblast. 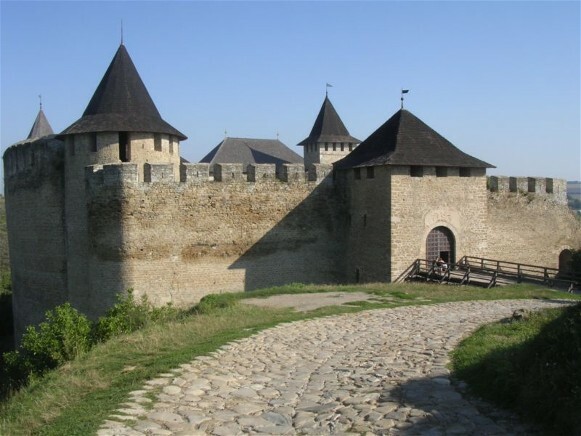 Founded by the Dacians and named after one of their leaders (Kotizon) Khotyn in the 10th century became part of Kyivan Rus’; from the 12th century it belonged to the Principality of Galicia-Volhynia. In the second half of the 13th century the Genoese constructed a fortress there. 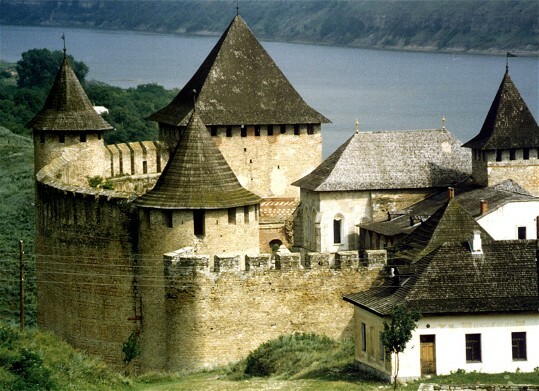 In 1373 the town became part of the Moldavia principality. From the turn of the 16th century to 1812 it remained, with intervals, a Turkish vassal; its stronghold played a key role in Turkey's control of Moldavia. 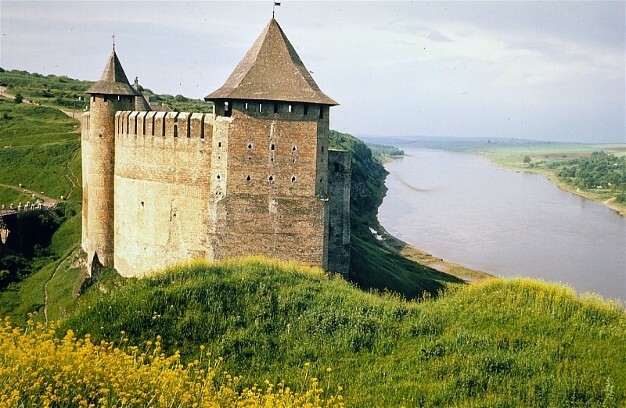 In the 17th and 18th centuries Khotyn was an object of conquest in the Cossack, Polish, and Russian wars with Turkey. 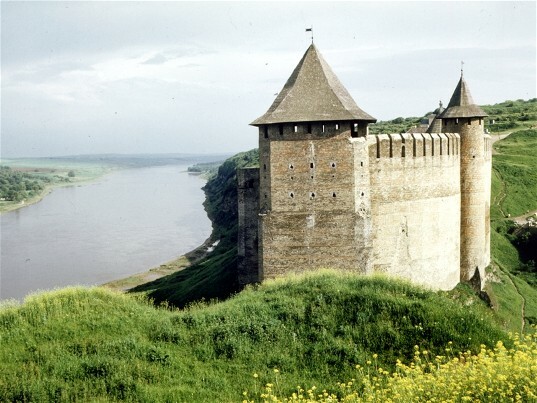 At the Battle of Khotyn in 1621, the combined Cossack and Polish armies defeated the Turks, but the Peace Treaty of Khotyn left the citadel in Turkish hands. Cossack armies led by Tymish Khmelnytsky captured and held Khotyn in 1650 and 1652–3. 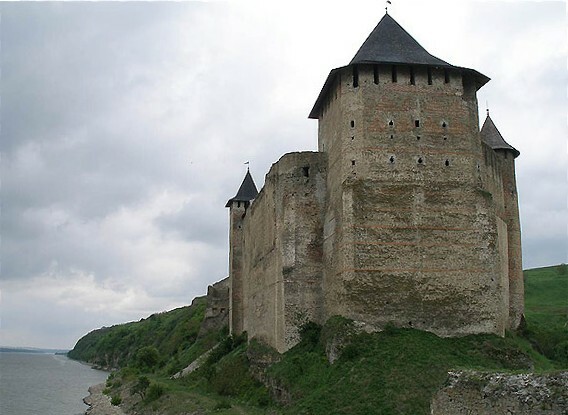 After routing the Turkish army there on 11 November 1673 with the help of Moldavian and Cossack troops, the Polish hetman Jan III Sobieski took the citadel and revoked the Buchach Peace Treaty of 1672. In 1711 the town was restored to Turkey. During the Russo-Turkish wars it was held by Russian troops in 1739, 1769–74, 1787–91, and 1806. 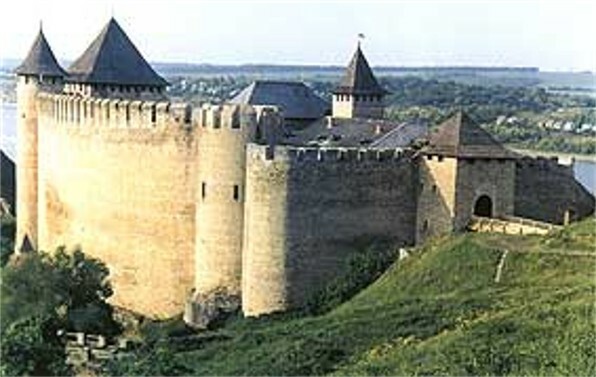 With the Bucharest Peace Treaty of 1812, Khotyn came under Russian rule. Its citadel was dismantled in 1856. 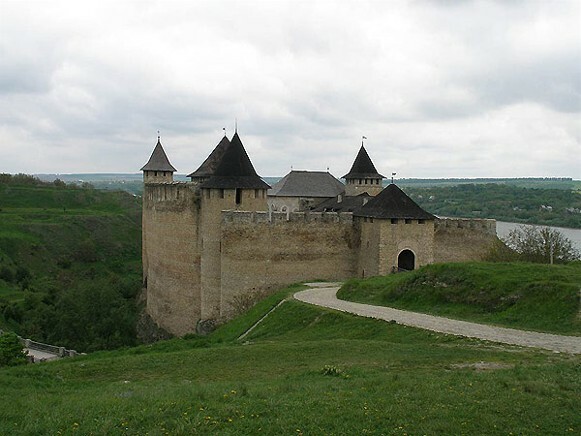 In 1873 Khotyn became a county center in Bessarabia gubernia. In 1897 its population was 23,800. Since most of the town's inhabitants were Jewish or Russian, Ukrainian cultural life was insignificant until the early 20th century. 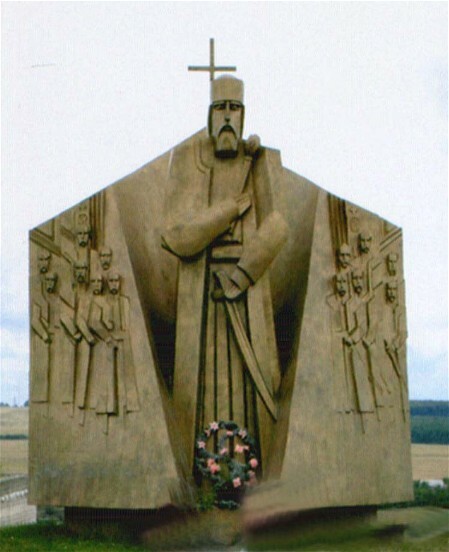 In April 1918, during the Austrian occupation, Ukrainians held rallies in Khotyn and elsewhere in the county demanding that the region be annexed to the Ukrainian National Republic, and the Central Rada sent its commissioner, I. Liskun, to Khotyn. 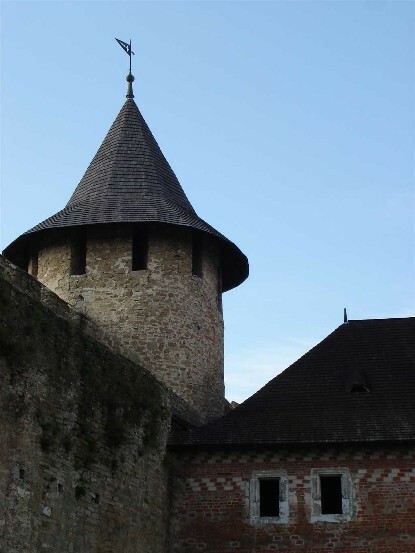 Romanian occupation of the region in November precipitated the January 1919 Khotyn uprising. Its population declined from 24,000 in 1915 to 7,000 in 1940. In June 1940, the city was occupied by the Soviet Army, but during the German-Soviet War, in July 1941, it was reoccupied by Romania. In April 1944 it was incorporated into the Ukrainian Soviet Socialist Republic. The war and Soviet rule brought about major changes in the city's ethnic composition. Whereas Ukrainians, Russians, Jews, and Romanians constituted 15, 37, 38, and 9 percent of a 15,300 population in 1930, the respective figures in 1959 were 72, 16, 8, and 4 percent. The city's enterprises produce dairy and other food products, wood products, kilims, textiles, clothing, and handicrafts. An agricultural tekhnikum, a boarding school for handicapped children, and a museum are located there.